Whether you are planning the bachelorette party or are attending the bachelorette party of a close friend, you may want to pick up a gift. Good-natured, naughty gifts seem to be the most popular. 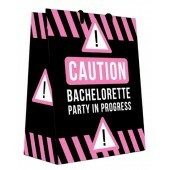 Here is an assortment of gifts that the bachelorette will like. If she blushes a little, the attendees will probably enjoy that as well.